Raising the bar in Manhattan Beach, the all-new Hi View Inn has been completely redesigned, refreshed and reimagined. Hi View Inn is an intimate seaside hotel with modern style, contemporary décor and a casual So Cal vibe. Situated in the cool and casual seaside town of Manhattan Beach, Hi View Inn exudes the vibe of its locale with posh accommodations in the perfect Los Angeles-area location. ​ Private Hotel - Only 22 Rooms! The Hi View Inn features contemporary furniture evoking a unique modern style unlike that of the major cookie-cutter chain hotels. Break away from the norm and experience true uniqueness at the Hi View Inn without a hint of pretention. Each room features a 42-inch flat screen TV with DirecTV, a microwave and plush beds. Experience an escape from the chaos of typical Los Angeles area hotels in scenic seaside Manhattan Beach. We are just minutes from downtown Manhattan Beach, Manhattan Beach Open and the Pier. Live like a local and enjoy a leisurely stroll down Hermosa Beach Pier less than a mile away or go for a short drive and experience the best of Los Angeles. Hot spots like LA Live, Staples Center, Sunset Blvd, Rodeo Drive and Santa Monica are all about 20 miles away. Intimate. Personal. Committed. Those are the hallmarks of the Hi View Inn. Offering dedicated personal attention and distinct accommodations, we’re designed for the traveler seeking a calm and convenient stay. Hi View Inn offers a small-hotel vibe where every guest is more than a room number. 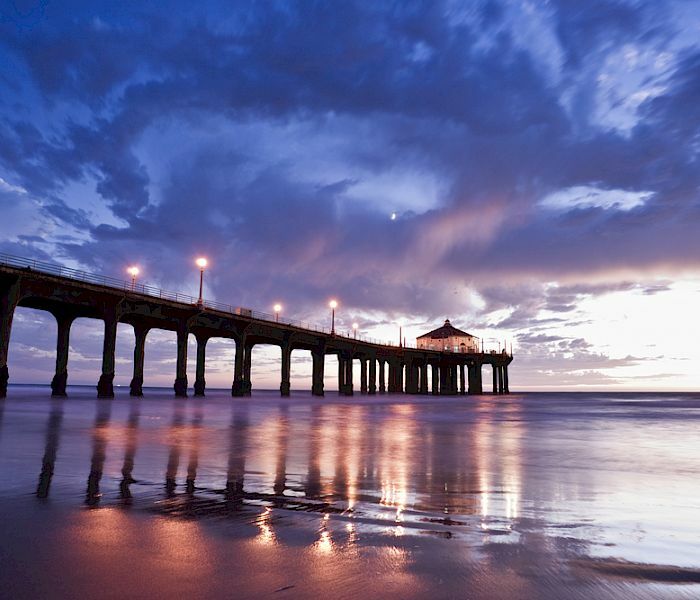 We are located 1.6 miles (about 5 minutes) from Manhattan Beach Pier and 1.7 miles to Hermosa Beach Pier. Our hotel is in a great location and in the center of all the action! Hi View Inn & Suites just went through a major renovation will offer a distinct hotel experience without any pretense. We are Intimate. Personal. Committed. Want a place to stay that is near the Beach and the Airport? We are located in the ideal place for you, Hi View Inn & Suites is 4.8 miles, about 15 mins to LAX Airport. Don't lose out! The lowest rate available only on Hiviewinn.com. Book your stay now.